We all know the feeling—the panic that sets into your stomach when you see the bill for an unexpected car repair. How are we going to pay for that? But what if a car repair was just an inconvenience? Instead of worrying, you pay the bill without thinking twice. A week later you’ve forgotten that it even happened! That’s how little it affects your financial situation. It’s not an emergency. It’s barely a hiccup! Do you feel that sense of relief? That’s what financial freedom feels like. Paying for a car repair without stress is just a small part of the picture. It’s more than just being able to afford emergencies. It’s knowing you don’t have to worry about retirement because you’ve worked with your financial advisor to invest consistently for decades. It’s the freedom to quit your J-O-B to do something you love, even if means getting paid less. Financial freedom means that you get to make life decisions without being overly stressed about the financial impact because you are prepared. You control your finances instead of being controlled by them. The path to financial independence isn’t a get-rich-quick strategy. And financial freedom doesn’t mean that you’re “free” of the responsibility of handling your money well. Quite the opposite. Having complete control over your finances is the fruit of hard work, sacrifice and time. And all of that effort is worth it! Ready to learn how to build a life of financial independence for you and your family? Start by defining what financial independence looks like for you. Financial freedom has to be personal. Dream big and get specific about your goal. When you are financially independent, you have options. You don’t have to wonder if your bank account can handle replacing your hot water heater or buying groceries for a single mom who just lost her job. See how ordinary people built extraordinary wealth in my new book, Everyday Millionaires. That may sound too good to be true, but you can do this! Here’s how to begin your own journey to financial freedom! You won’t get ahead if you don’t have a plan for your money. Instead, you’ll find yourself wondering where your money went at the end of every month! That’s not financial independence; that’s a recipe for financial disaster. If you’re married, get on the same page with your spouse about your budget. If you’re single, find an accountability partner. Building wealth is impossible if you’re living paycheck to paycheck. Give every dollar a name before the month begins, and track your spending throughout the month. If you consistently overspend or underspend in certain areas, you can always adjust the amount in each category. Budgeting is important to get your finances on the right track, but it doesn’t end there. Even once you achieve financial freedom, you’ll still complete a unique budget every month. No matter how much money you have, you need a plan. You won’t get to financial independence on accident. Budgeting is the first step to building wealth on purpose. Once you start learning how to manage money, you may realize you’ve made some mistakes with your finances in the past. That’s okay! But if you want to be financially independent, you have to clean up the mess before you can start building wealth. That means if you have debt like credit cards, student loans or car loans, it’s time to get serious about kicking it to the curb. Why? Because while you owe money, your paychecks have someone else’s name on them. If you want to reach your goal, you need your full income at your disposal, not bits and pieces that are left over after paying credit card bills and student loan payments. Paying off your debt helps you lay a foundation to build wealth that will last. Make sure you have $1,000 saved before you start tackling your debt. You don’t want an unexpected expense to derail your progress! Most people feel like they got a raise when they start budgeting, so that’s good news for you. Throw all of that extra at your smallest debt until it’s gone. Then keep the snowball rolling! Paying off debt is hard work, but there’s nothing like the feeling of actually keeping the money you bring in every month! Once you’re debt-free, stay there. For good. Having debt undermines your ability to build wealth and puts your financial plan at risk. It’s simple. Steer clear of debt! Your biggest wealth-building tool is your income. So when it comes to choosing a career, there are a lot of things at stake. There’s no reason to stay stuck at a dead-end job, especially if it’s making you miserable. Finding a job that you enjoy that also supports your goals of financial security will help you enjoy the journey. Where do you want to be in 10 years? Start with the end in mind. Does this job make sense with your overall goals? Is there income-earning potential? Even if you’re not making your dream salary from the start, make sure there is opportunity for your income to increase as your value increases. Can you grow? Are there opportunities for you to move up and grow personally and professionally? Do you enjoy the work? Don’t spend a career at a job you hate. Find something you’re passionate about that allows you to use your gifts and skills. Do the benefits support your goals of financial freedom? Your options for retirement savings and health insurance can dramatically affect your ability to build wealth. Your choice of career can have a big impact on your long-term financial plan, so take it seriously! Imagine if you had to pull money out of your 401(k) when your home’s A/C unit needed to be replaced. What if you had to open a credit card to pay for groceries after losing your job? How would you ever get ahead if you kept borrowing money from your future? You wouldn’t. If your goal is financial freedom, you need a buffer for the unexpected life events that happen to all of us, like car repairs, broken appliances and medical deductibles. That’s why you should increase your emergency fund to cover three to six months of expenses once you’re out of debt. Having the cash on hand to cover an unexpected life event gives you peace of mind and is a critical part of your overall financial plan. Once you have that fully funded savings account, you’ll start to feel more flexibility in your budget. You’ll be able to say yes to shopping splurges and specialty lattes with no guilt at all! Since you’re not taking on debt, you’ll also need a savings plan for big purchases that aren’t emergencies. Let’s take summer vacation for example. It’s simple! Create a line item in your monthly budget and divide the total amount by the months you have to save. You’re not living in debt anymore, and that means you can enjoy your vacation instead of having a credit card bill follow you home. With a full emergency fund and a plan to cover big purchases in place, you’ll have the financial foundation to start investing. Start by working with your financial advisor to take advantage of the tax-favored retirement accounts that are available to you at work, like your 401(k) or 403(b). How much should you invest toward retirement? Shoot for 15% of your income. And if your employer offers a match on contributions to your 401(k), take it! Don’t say no to free money. If you have access to a Roth 401(k) at work with good mutual fund options, great! You can invest your full 15% there. But if you have a traditional 401(k), invest up to the match then invest what’s left of your 15% in a Roth IRA. If you still have part of your 15% left after maxing out a Roth IRA, go back to your 401(k). Why is a Roth a good idea? When you invest in a Roth 401(k) or Roth IRA, the money you invest grows tax-free. That means you don’t have to pay taxes on it when you withdraw money in retirement. That’s a big benefit you don’t want to miss out on. The great thing about saving for your kids’ college is that by helping them avoid student debt, you’re setting them up for financial freedom too! Your home should be part of your plan for financial freedom, not something holding you back from achieving it. That’s why it’s so important to make wise decisions about the kind of home you purchase and how you choose to finance it. If you buy a home that is a good investment, it will continue to grow in value as the years go by. Once you’re investing 15% of your income into retirement accounts, you should use any extra money coming in to pay off your house. Attack it with a vengeance! Getting rid of your mortgage is a huge milestone in your journey to financial independence. Don’t even think about owning rental properties until your house is paid for. And even then, you should only invest in rental properties if you can afford to pay cash for the property and you’re willing to deal with any hassle involved in the rental process. When your house is paid for, you can contribute more than 15% of your income to investments. But before you jump to taxable investing, make sure you’re taking advantage of all the tax-favored accounts you can—like your workplace 401(k) and IRAs. If you’re ready to move into taxable accounts, stick with a simple investing approach and work with your financial advisor to choose good growth stock mutual funds with a long history of above-average performance. When you invest outside of tax-favored retirement accounts, you’ll pay taxes on the money you invest. You should also be prepared to pay taxes on capital gains and qualified dividends. But choosing mutual funds with a low turnover rate can help you minimize the tax impact. Making the right investment decisions is the first step, but staying in tune with your fund performance is crucial to getting the most out of your investments. Setting your investments on autopilot is not an investment strategy. 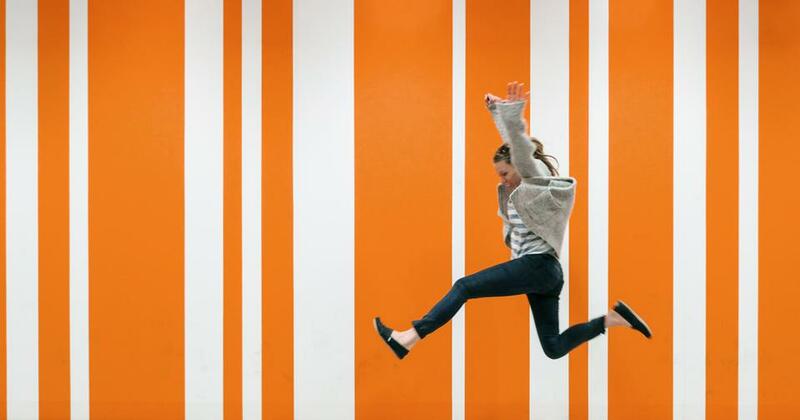 You’ve worked hard to lay the right foundation, so don’t leave this crucial step up to chance! You need the expertise of a financial advisor to help you navigate your investment options and brave the ups and downs of the stock market. With our SmartVestor program, you can find investing professionals to help you achieve your financial goals. Remember, the journey to financial independence is a marathon, not a sprint. An expert financial advisor is the perfect partner for the journey. Ready to get started? You can connect with a pro today! Financial freedom is about more than just being able to cover unexpected emergencies—like a car repair—without breaking a sweat. The fun really starts when you realize you can meet the needs of others. Imagine being able to bless a struggling family by paying for their car repair! It’s not just about you anymore; it’s about leaving a legacy! If you live like no one else, later you can live and give like no one else. It’s worth all the hard work it takes to get there. You’ve got this! In a world full of comparison, choose contentment. 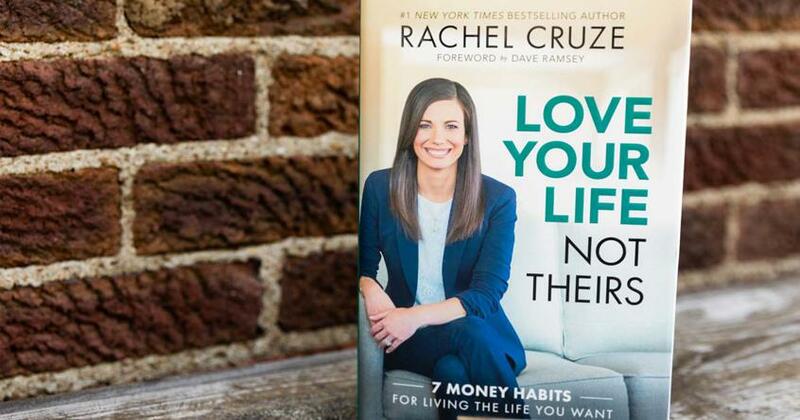 Rachel Cruze brings relatable truth in Love Your Life, Not Theirs. Here are five traits of fulfilled people you can adopt this year! 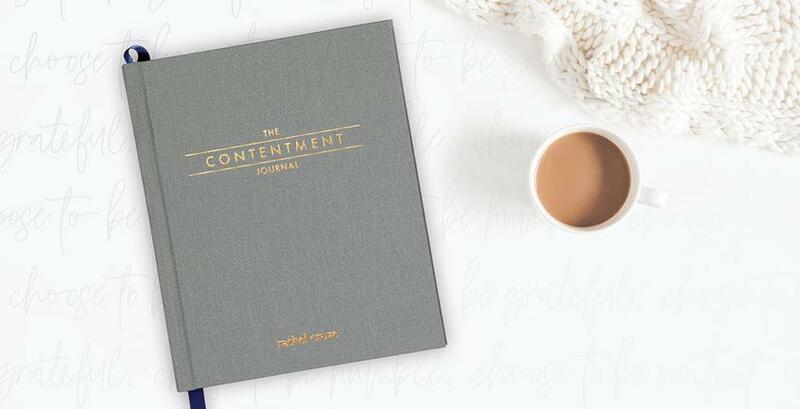 The one thing that all generous wealthy people have in common: contentment. But why?